Universe-in-a-Box is an educational kit designed by the Universe Awareness project to assist educators in bringing astronomy and space sciences to 4–11 year old children. The toolkit was developed in response to a demand for practical, interactive and fun resources for bringing astronomy into the classroom. 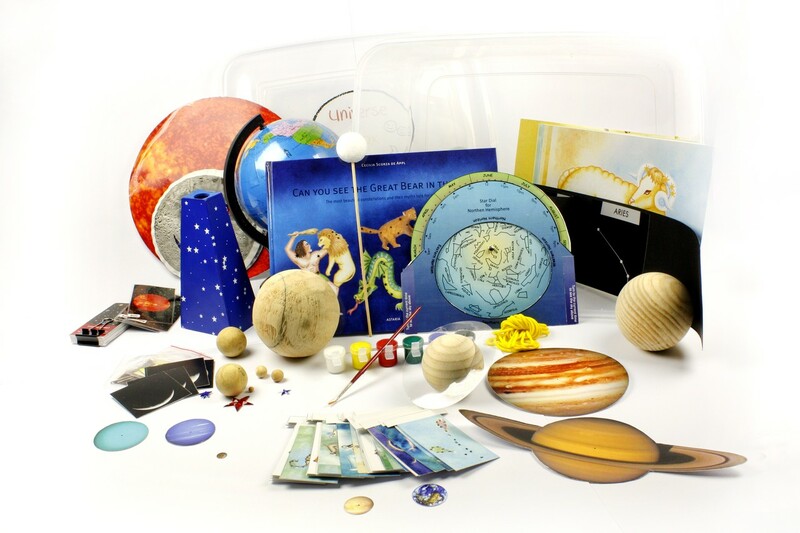 In 2014, Universe in the Classroom handed 100 free Universe-in-a-Box toolkits to selected primary schools across Wales, providing teachers and educators with over 40 practical activities, as well as the materials and models required to do them. Universe-in-a-Box toolkit includes all the hands-on materials needed to carry out over 40 astronomy education materials. Throughout 2014 we carried out a number of teacher training workshops based around Universe-in-a-Box, you can explore the content of the workshop below.